Qui a besoin de dieu quand vous avez la fee verte. 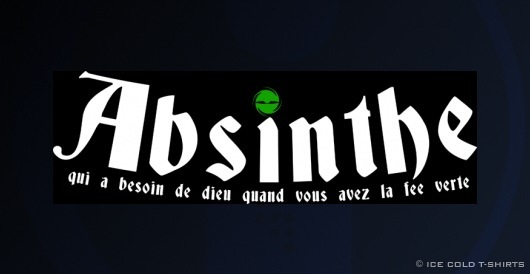 Absinthe Shirt. Emerald green, mixed with a sugar cube and iced water to create a delicious condemned louche.